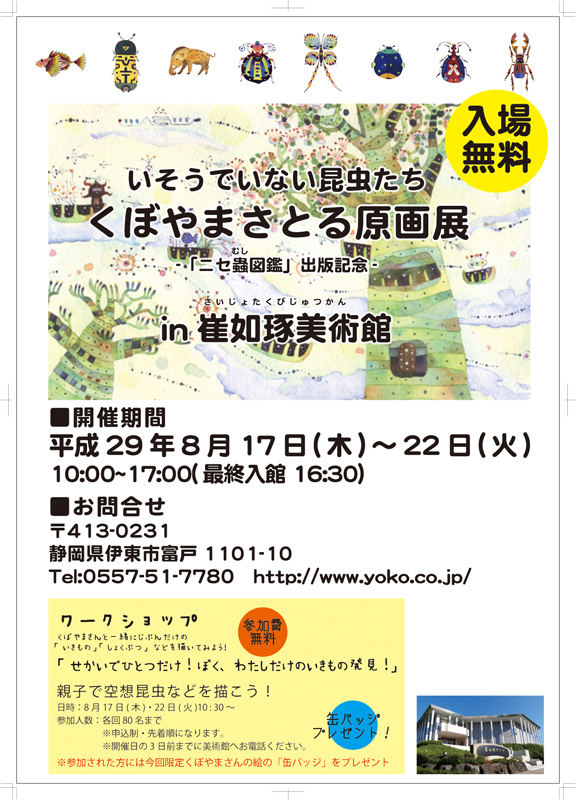 The Saijotaku Art Museum, in Izu Kogen (Ito-shi), featured Satoru’s original arts from August 17 through 22, 2017. Workshops were also held on the August 17 and 22 and the event attendees were given original can budges as an event gift. 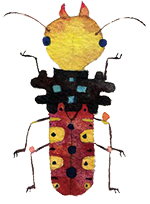 “Nise-mushi Zukan (Imaginary Bugs Visual Dictionary)” was made available for purchase.